Please list former STO fleets (if any): Star Knights "member about 24h." Reason for leaving former STO fleets (if applicable):Sending invites to player,s dont say nothing, no explenation, no nothing. "don't like just to be a another number". Residence: ( ) US, ( ) EU, ( ) Asia, ( ) Other: EU "Portugal". What made you interested in choosing the 12th fleet? Because you guys seem coordinated, active, and many information to learn. What days and times are you usually online? : Every day 17h00 to 00h00 "05:PM to 12:AM" +5 hours then US. Have you ever played an MMORPG? 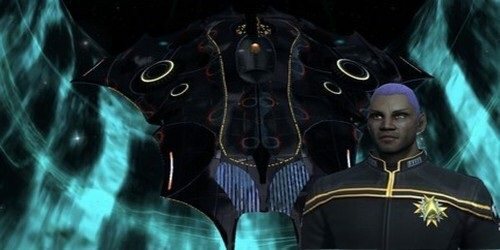 If so, which one and how long: Galactic online and star trek pc games. In a paragraph please explain how you will benefit the 12th fleet? I'm a active player and i like very much the game, ready to learn and be a part of the 12h. Last edited by Amicus on Tue July 15th, 2014 4:59 pm, edited 3 times in total. Post subject: Re: Apply for be a member. Welcome to the forums and good luck on your app! Welcome to Tactical and the 12th.